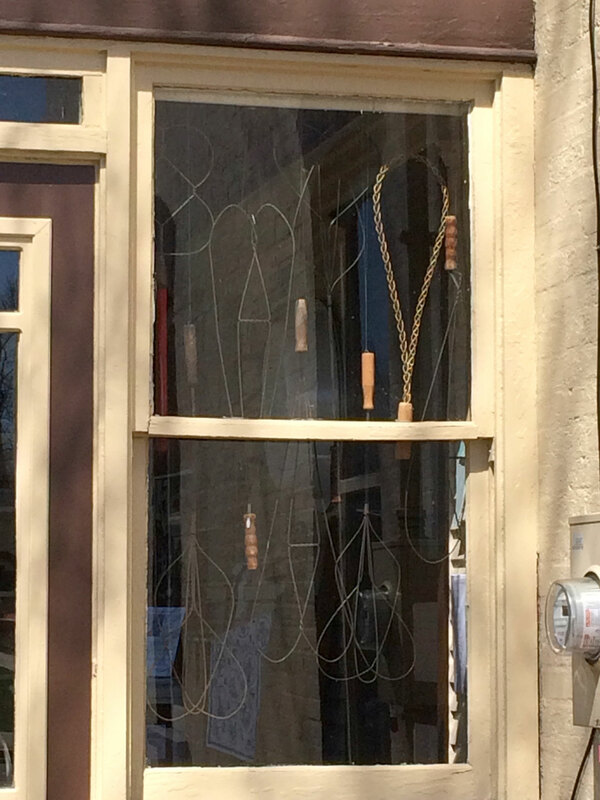 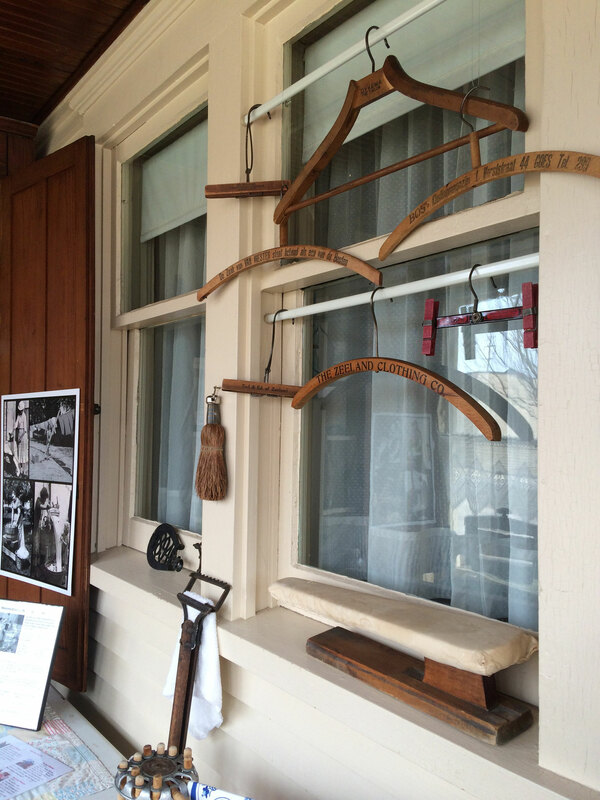 We are proud to present our laundry porch, redesigned in 2016! 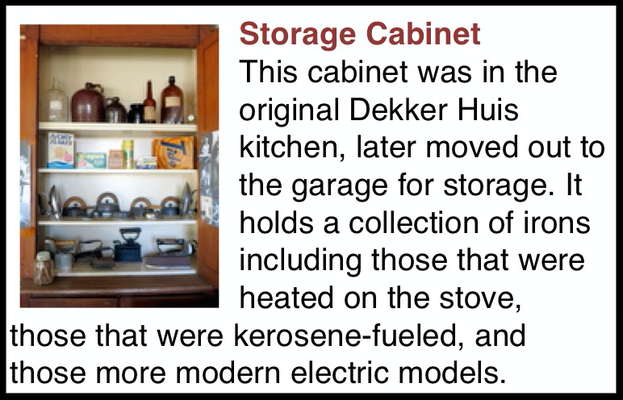 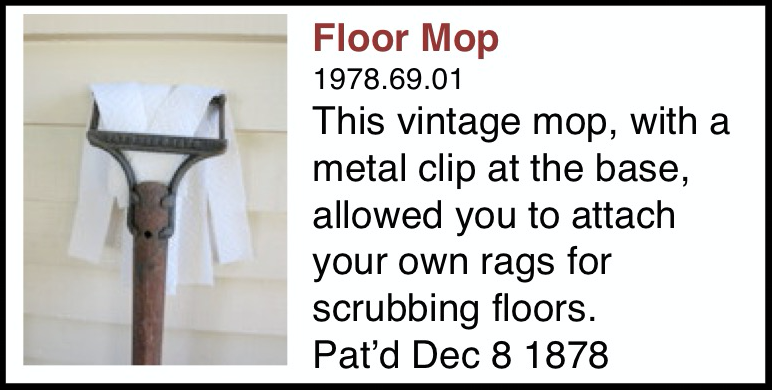 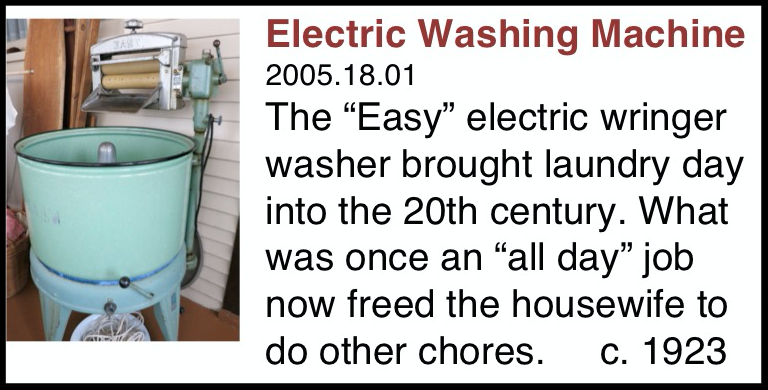 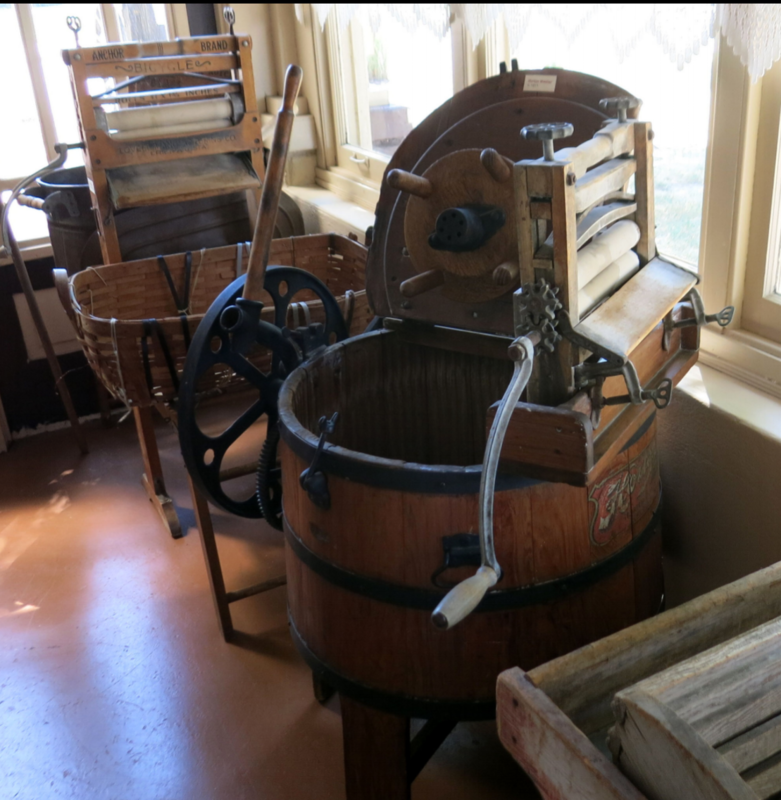 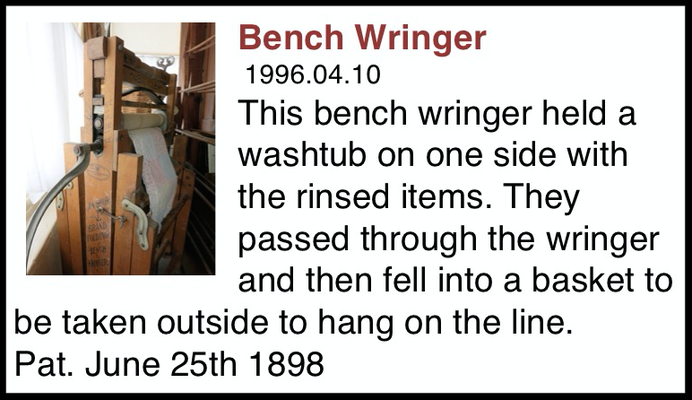 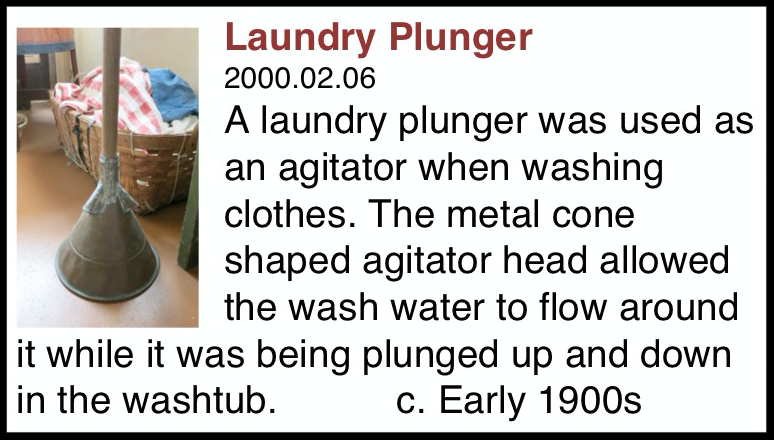 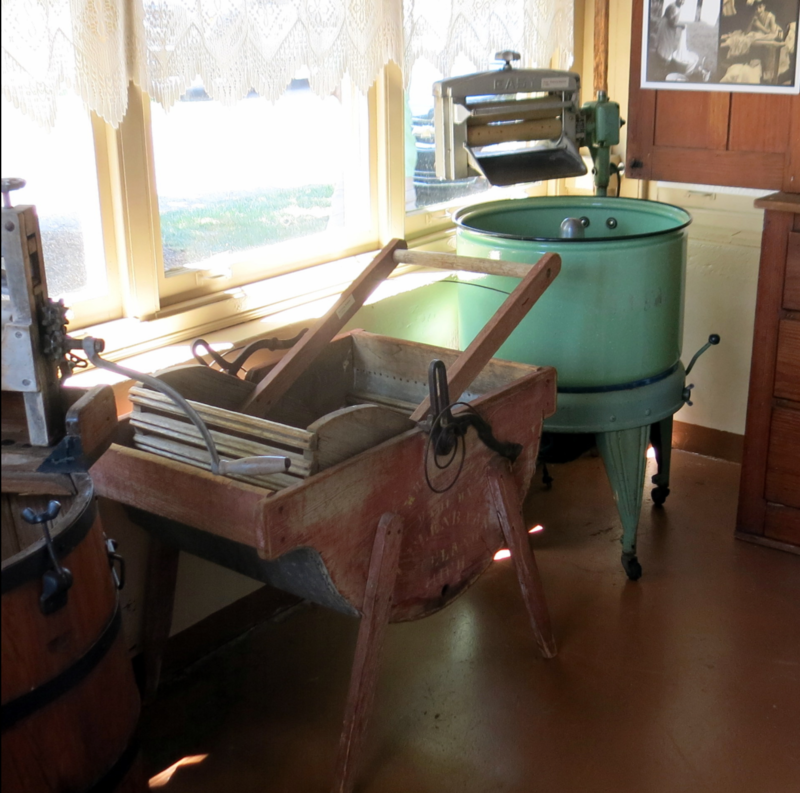 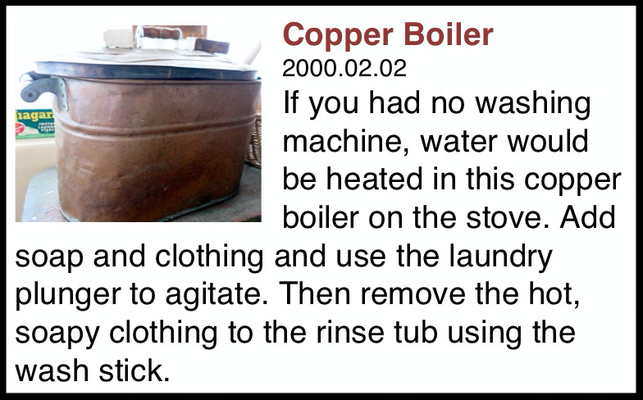 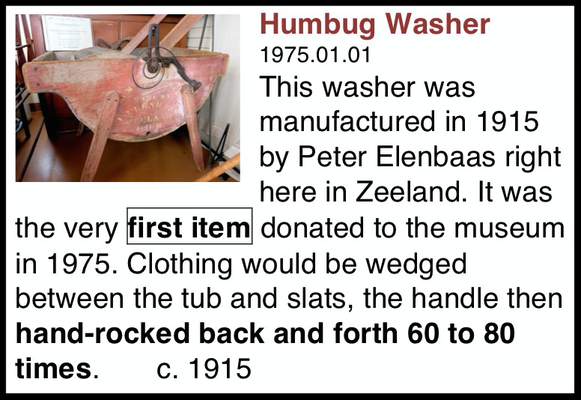 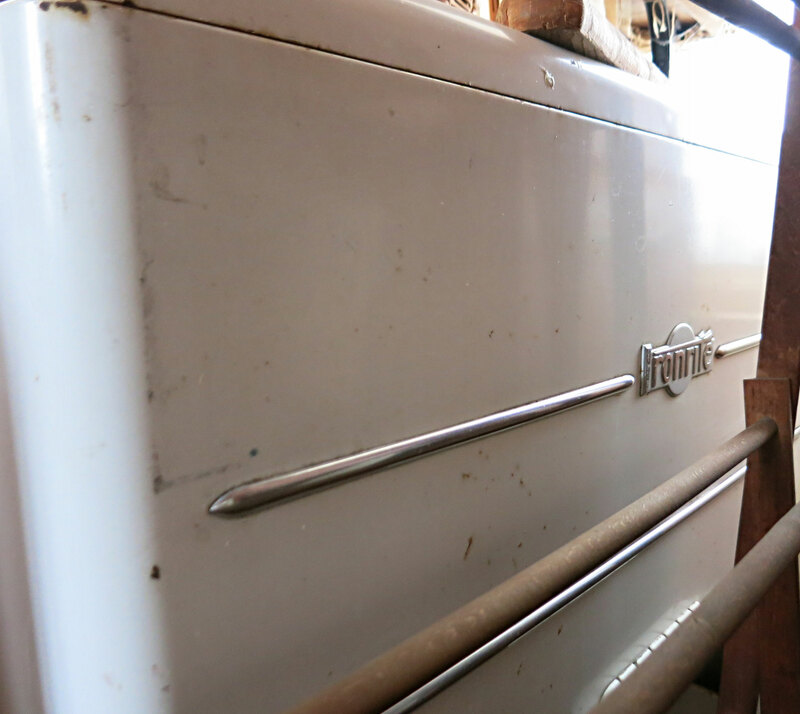 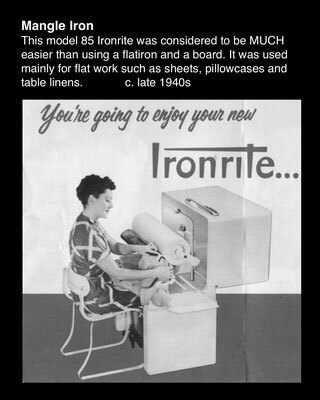 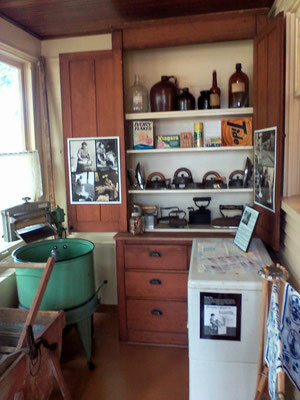 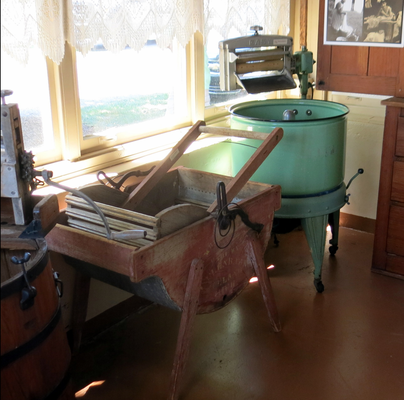 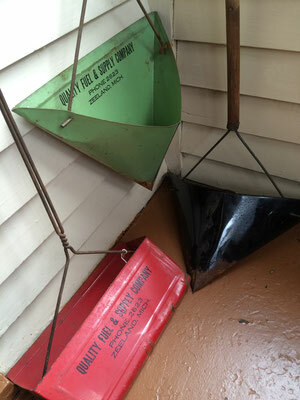 You will see four vintage devices for washing clothes, which date from 1898 to 1923. 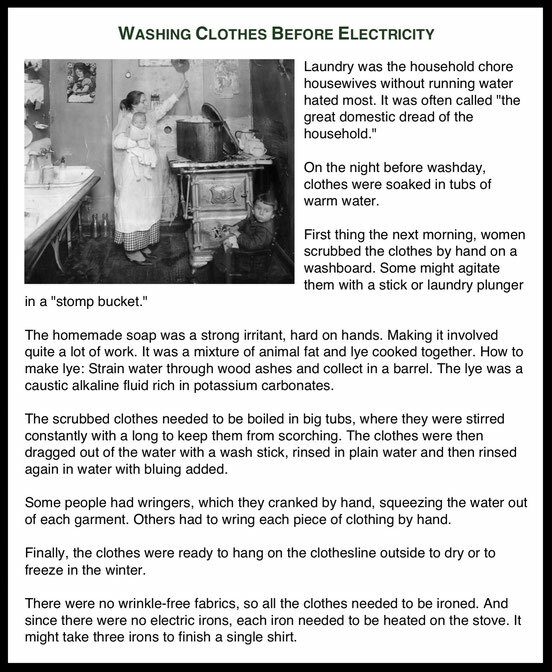 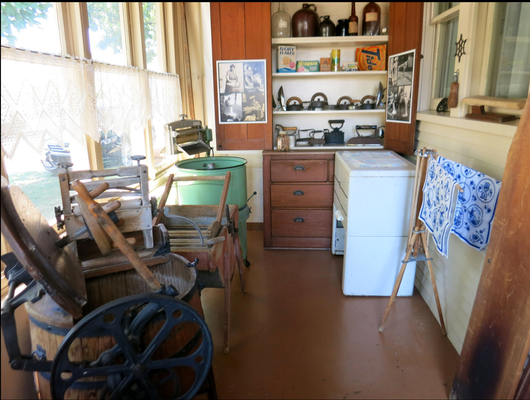 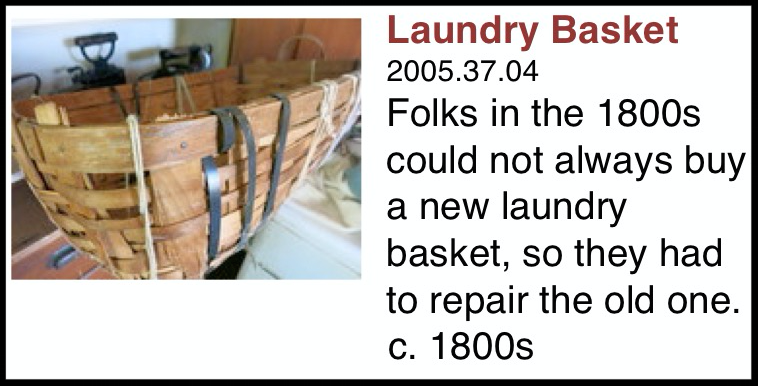 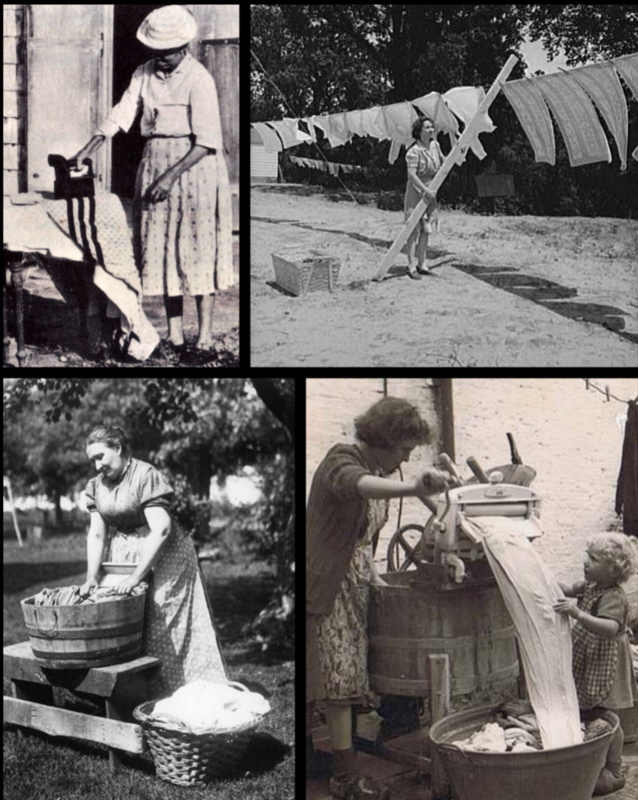 Prior to the invention of the washing machine, doing laundry took enormous amounts of time and energy as water often had to be pumped or drawn from a well, carried in, heated, clothes scrubbed, rinsed and wrung out by hand. 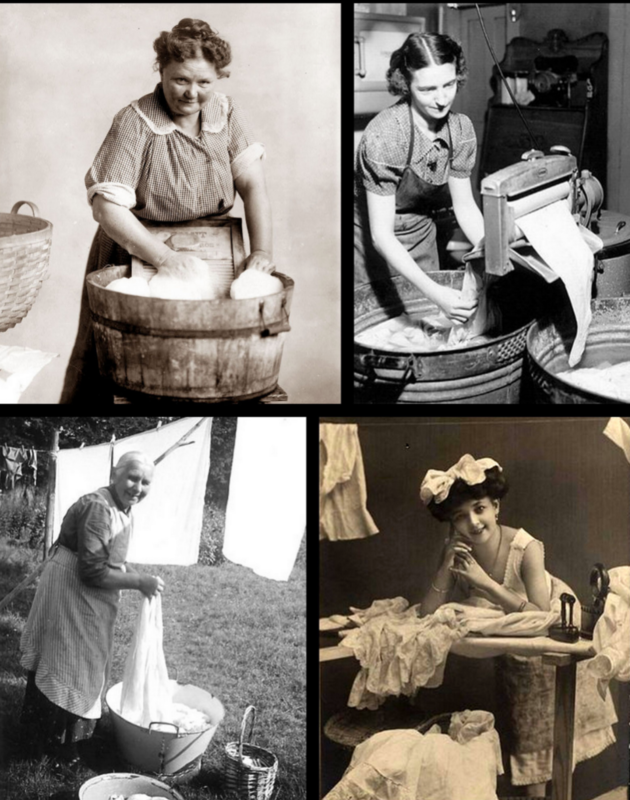 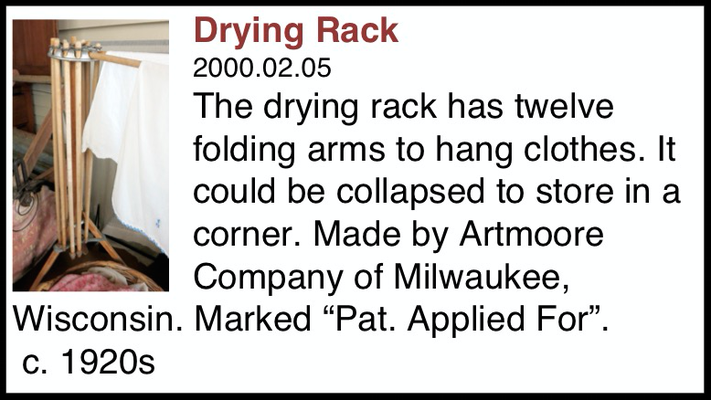 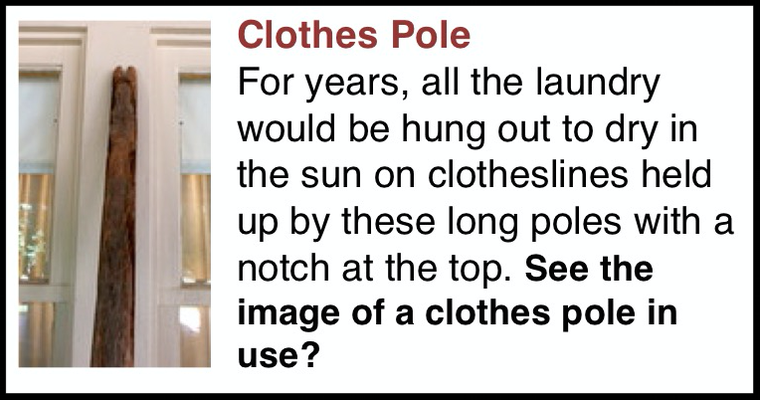 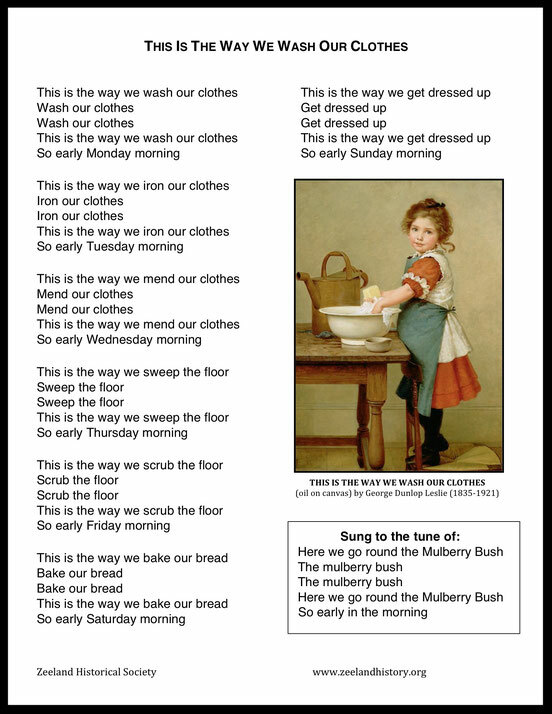 Don't miss the images of ladies scrubbing clothes with a wash board, using a wringer after the clothes are rinsed, hanging them on the line to dry, and ironing the clothes to press out the wrinkles.